This entry was posted in Heart language, Language and tagged Babel, diversity, mother tongue, mother tongue day, theology of diversity, Tower of Babel. Bookmark the permalink. Good message. I think your chart has some problems. Mean is the same as average. The numbers for the Americas would put their population at about 51 million. The others seem closer, but that is without actually checking. The source for the chart can be found at http://www.ethnologue.com/ethno_docs/distribution.asp?by=area. 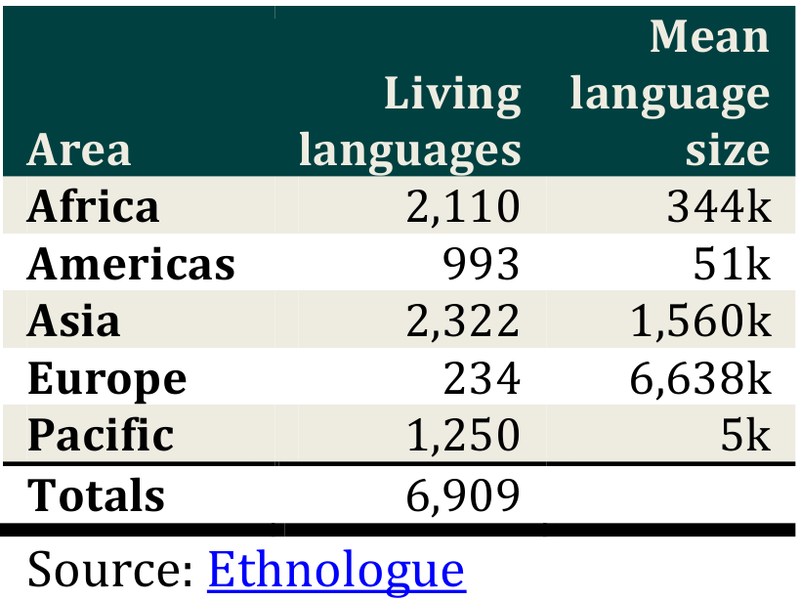 The population for the Americas cannot be deduced from the numbers here because languages are listed by their origin. Therefore, populations of English, French, Portuguese and Spanish speakers in the Americas appear in Europe. The full explanation can be found on the page linked to above. It is a confusing way to do it, but I wanted to follow the figures for teh Ethnologue as an authoritative source. Thanks for reading me! Ed, I agree. 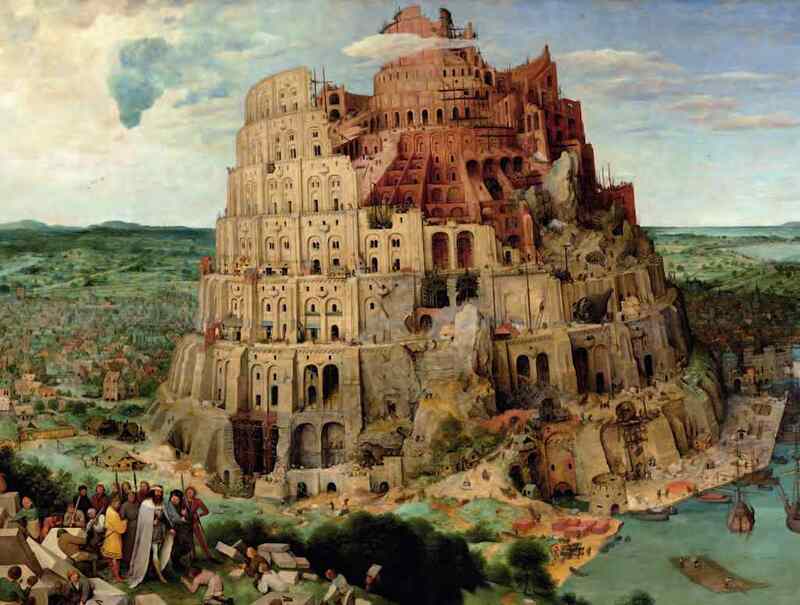 If you look at Babel in the fuller context of Genesis, I think we see that the 6,900 languages we now have are by design and not a result of rebellion. The primary sin was that the people stopped spreading. Additionally, people were already bi-lingual before Babel. There were coastal languages and inland language, but apparently they also spoke a common language, too. The primary sin was the people stopped spreading. Spreading was meant to create diversity. I think God intervened about three times when people stopped spreading as he commanded. Genesis seems to reveal that God desired diversity in language, color. I think God desires diversity because we can’t really understand Him or Christ just through our own language and culture. It takes multiple expressions of Christ to more fully understand him. Take Dalit theology, for example.